As many of you know, OCD can be a very manipulative, shape-shifting disorder and so keeping on top of exposures can become quite a tedious and tricky matter. Over the years I’ve found that if I’m not consistent with exposures and challenging the irrational beliefs, my OCD can quickly resurface and start to dominate my life again. This can be incredibly frustrating as exposures do elicit quite difficult feelings and emotions plus, as I’m sure you’ll all agree, they just ain’t pleasant to do! However, exposures are the best way to combat OCD and even though in the short term it may be extremely unpleasant, in the long term you’ll ultimately gain the upper hand over your OCD. In all honesty, though, I am guilty of sometimes becoming complacent with my OCD exposures. I can quite easily fall off the bandwagon and consequently get stuck in a rather unpleasant and tricky OCD cycle. In these periods, I often find it quite difficult to get back into challenging my OCD. It’s not something I’m overly ecstatic about doing obviously, but I do have to acknowledge that staying in this limbo of not necessarily struggling horrendously with my OCD, but at the same time still being held captive by some obsession and compulsions isn’t an ideal place to be. It isn’t until I’m on the other side and thus having more mental clarity, that I truly appreciate and realise the benefits of being consistent with my exposures. When I’m in that limbo stage, I find that there are a few things that help me get back on track with regards to exposures. Hopefully, some of these may be of use to any of you whom may be in a similar situation and feel free to mention any techniques that you find helpful in the comments. Create an exposure list at home – Often my brain can become quite scrambled when I’m struggling with my OCD. In the sense that the thought of challenging resurfacing compulsions becomes completely overwhelming and I can’t comprehend which one I should tackle first. In this situation, I find making a little exposure list in my bullet journal to be extremely helpful. I provide a little description as to what the actual compulsion or obsession is, what grade of anxiety I would give it out of 10 (0 being no anxiety and 10 being extreme anxie ty) and a column where I can tick off if I’ve actively challenged it. This is like an extension of what I’m sure some of you will be familiar with in therapy when you create an anxiety hierarchy of exposures and then work your way through it in order to take down your OCD. Here is an example to the left, of my exposure list at home (you can make yours as plain or as colourful as you like). I find it a great page to have, especially as my therapy at the moment is not focused around actively challenging my OCD and it also doesn’t need you to be in therapy to create one either. It can also be a working document too. So if you find a new compulsion creeping in, you can take note and then challenge it when you feel ready. Get a family member or friend involved – By involving someone whom you see or talk to on a regular basis, means that they can act as a bit of a prompt if you’re struggling to challenge the compulsions by yourself. I find this to be especially helpful if I start to become complacent, as they can quite often end up being the nudge I need to get going again. They may even be available to support you with a few of your exposures if required, which is when your exposure list may come in handy. At a glance, they can easily see what the exposure is, how much anxiety it may cause you and then ultimately it may help them comprehend the challenge at hand, allowing them to be even more supportive. Be compassionate towards yourself – OCD is tough, exposures may not always go to plan. Sometimes the OCD may just be too strong in the moment to challenge, but that’s okay. Exposures are tough enough as it is without you becoming self-critical and sending a tirade of negative, self-deprecating thoughts towards yourself. I know it can be so incredibly frustrating when you feel like your OCD is so strong, I get frustrated myself, but by beating yourself up it’s just going to put you off challenging your OCD even more and then you end up becoming more susceptible to falling into that horrible OCD limbo. Sure, it’s totally okay to be angry or frustrated initially, but remember to acknowledge the fact that what you’re doing is incredibly difficult. So it takes real strength to even attempt the exposures, which proves you’re an incredibly strong person as you are actively taking the steps to tackle your OCD, even though it’s damn tough. Not many people understand how much strength it takes to do that. Even if you just say to yourself, ‘I’ve given it my best shot and that’s all that I can do‘, it can make the world of difference to your mindset and emotional wellbeing. And in the words of Parcs & Rec, ‘treat yo self’. Have that snack you’ve been wanting to eat all day, get that game you’ve been wanting to buy for ages. Take some time for self-care. In the long run, it really is going to help keep you motivated in your fight against OCD. Hopefully, this has been somewhat helpful to you all and I will forever wish you all the very best of luck in challenging your OCD. You got this. Your post are absolutely amazing and on point…I am still stuck with numbers at times… you know like sequences. 123, 222, 345, 111, etc. or even my bday I see a lot (217) it use to bother me but I find myself just waiting or expecting it. I count, move things to a spot and then check and check again. I enjoy reading your posts so again Thank you and continue enlightening and helping others. Hey there. Thank you so much for your kind words. I completely understand you with regards to numbers. It can be such a pain. 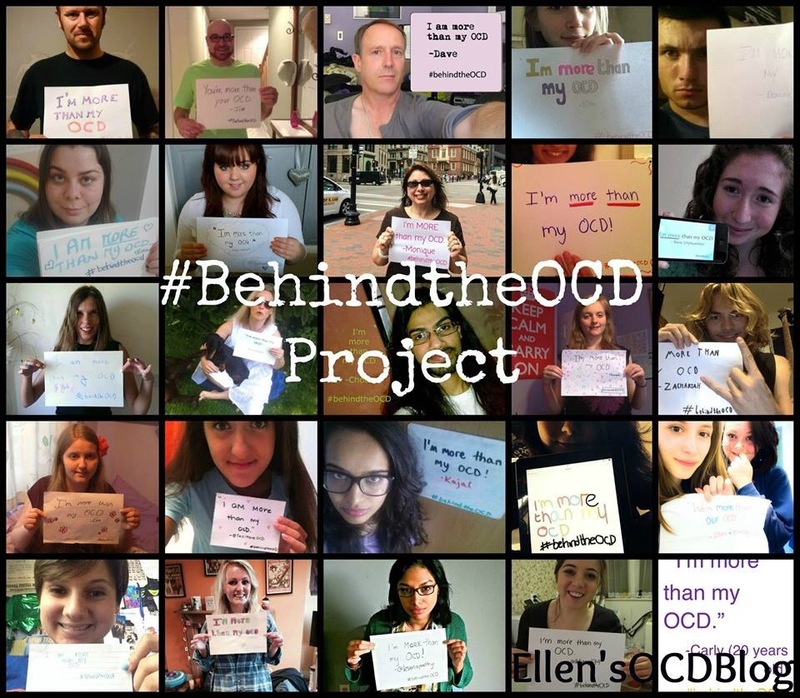 Thank you for supporting me and I hope your fight against OCD becomes easier. I’ve been working hard for a long time. Keep doing what you’re doing. And you’re most welcome. The most challenging component in my life has been dealing with OCD, so I can appreciate the difficulties in using the exposure and response tactic. I have spent 20 years with OCD and have only recently in the past few years started implementing this tactic. One way I found success was to go out in public where I didn’t know anyone, which forced me to deal with a trigger and fight through the desire to tap, count, repeat, etc., etc. because I would be more embarrassed to show my OCD giving me the drive to fight through a ritual.